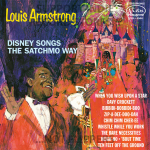 Armstrong, Louis	Disney Songs The Satchmo Way	LP	1	Disney Songs the Satchmo Way was released in 1968, featuring classic Disney songs from films by trumpeter and singer Louis Armstrong and produced by Tutti Camarata. 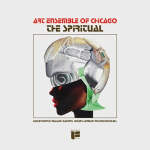 Art Ensemble of Chicago	The Spiritual	LP	1	180g, Colored Vinyl / Red. The Spiritual, a free jazz album recorded by the Art Ensemble of Chicago in 1974, finds the group of stellar musicians at their creative peak. With various types of percussion, though the absence of a traditional drummer, the ensemble is able to create vivid, freeing compositions without the confines of conventional structure. The quartet, consisting of Joseph Jarman, Roscoe Mitchell, Lester Bowie, and Malachi Favors, explore the depths of Avant-Garde Jazz through a means that has yet to be touched on in a comparable capacity. The Spiritual was remastered by Infrasonic Mastering and pressed on 180gram red color vinyl at Pallas Group in Germany, the first vinyl pressing in over four decades. Blind Willie McTell	Statesboro Blues / Three Women Blues (RSD)	10″	1	This special 2019 Record Store Day offering is reproduced using the original label and sleeve artwork. It is a 10-inch microgroove 78 RPM single and can be played with a standard turntable needle.“Statesboro Blues”, which has been widely celebrated and covered by the likes of the Allman Brothers, Taj Mahal, and the Youngbloods, and was inducted into the National Recording Registry for cultural significance in 2016. 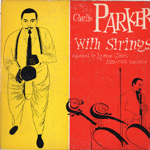 Since his death his influence has been felt and his songs covered across a slew of artists, from Bob Dylan to Ry Cooder to the White Stripes. 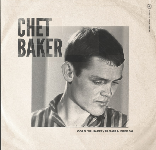 Chet Baker	Cold Trumpet (Tromba Fredda)(RSD2019)	10″	1	Bisher unveröffentlichter Score von Chet Baker, solo für Trompete, zu Tromba Fredda (Cold Trumpet), einem surrealistischen italienischen Kurzfilm von Filmemacher Enzo Nasso, in dem Chet selbst die Hauptrolle spielt. Eine heiß begehrte Veröffentlichung dieses so legendären Trompeters. 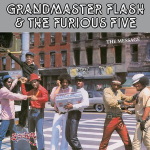 Grandmaster Flash & The Furious Five	The Message (Expanded)	2LP	2	Expanded Edition. 140g, blue Vinyl. Grandmaster Flash & The Furious Five’s debut studio album was released on Sugar Hill Records in October 1982 and is widely regarded as one of the most influential hip hop records of all time. 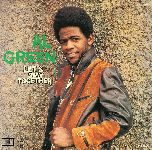 The title track, seen as an offshoot of funk upon is release, has since been credited with re-calibrating the direction of hip hop and was named as the Number 1 greatest hip hop song of all time by Rolling Stone magazine. This extended edition of the album features a selection of bonus tracks and instrumentals and pressed on a specially made 180g Sugar Hill Blue Vinyl. 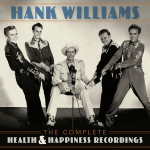 Hank Williams	The Complete Health & Happiness Shows	3LP	3	3 X Vinyl Album 12″ (180g), 1st time ever on vinyl Produced by Hank Williams Grammy-Award Winner Cheryl Pawelski Audio freshly transferred, restored & mastered from the original 16” transcription discs by Grammy-Award Winner Michael Graves New liner notes from Colin Escott in bookpack packaging Includes “I’m So Lonesome I Could Cry”, “I Saw The Light”, “Lost Highway”, and “Mind Your Own Business” & more! 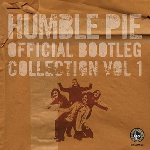 Humble Pie	Official Bootleg Collection Vol 1 (Ltd. 2LP) (RSD)	LP	2	Limitierte 180g Doppel-Vinyl-Album-Edition im Gatefold Sleeve zum RSD 2019 – die besten Tracks der legendären Humble Pie von vier Konzerten aus den Jahren 1972 bis 1974. The Residents	B.S. (Ltd. + Remastered Yellow Vinyl LP) (RSD)	LP	1	Speziell für den RSD stöberten The Residents in ihren Archiven und remasterten das sagenumwobene und bislang unveröffentlichte (!) 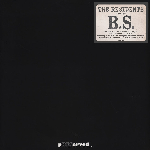 Album „B.S.“ von den Original Mastertapes. Aufgenommen wurde es 1971, und erneut schickten The Residents es – wie damals üblich als Tape und wie bereits ein Jahr zuvor mit den „W.B.“-Aufnahmen geschehen – an Warner Bros Records als möglichen Vertragspartner, weil dort eines ihrer Vorbilder, Captain Beefheart, unter Vertrag war. Warner Bros fanden jedoch erneut keinen Gefallen an diesem Meilenstein der Residents-Mythologie, das Album verschwand in den Archiven. Also sollte der Residents-Fan nun zugreifen, ehe die einmalige limitierte Erstauflage ausverkauft ist. 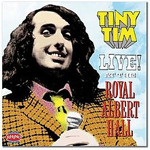 Tiny Tim	Live! At The Royal Albert Hall	LP VINYL	2	First time available on vinyl, this limited edition is pressed on 180g transparent red vinyl and includes an 11×11 insert. 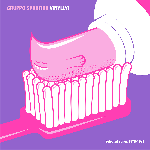 Limited to 3000 copies worldwide. 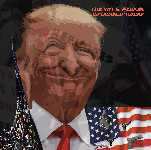 VARIOUS	THE WIT AND WISDOM OF DONALD TRUMP	LP	1	Presented for RSD 2019, this LP consists of 2 sides of the very best opinions and thoughts of Donald Trump. It is almost without any audio all. 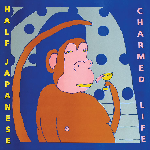 It is limited to 500 copies pressed on orange vinyl. 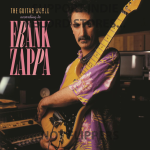 Zappa, Frank	The Guitar World according to Frank Zappa	col. LP	1	The Guitar World According To Frank Zappa is a compilation that was created by FZ in 1987 and was available only as a cassette through Guitar World magazine. 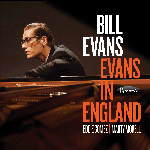 First time on vinyl and mastered by Chris Bellman at Bernie Grundman Mastering. This RSD edition is numbered and pressed on 180g clear audiophile vinyl by Furnace, MFG.